Main Healthcare Pharmacy is our Extended Care Pharmacy serving both long term care facilities as well as assisted living facilities, group homes and residential care. With 2 locations to better serve your patients. Phone: (563) 324-5004 | (888) 823-0923. Our hours of operation are Monday-Friday 9am-5pm. Pharmacists are available for emergency on-call 24-hours a day. 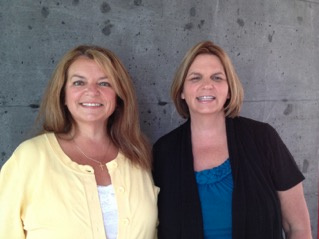 Ann Cypher and Lisa Ploehn are the owners of Main Healthcare Pharmacy. Ann and Lisa have lead our company after the passing of their father, Bill Burke. Main Healthcare started as a specialty practice to serve care centers in the Quad Cities area and has continually grown and now provides care to extended care communities all across Eastern Iowa and Western Illinois.